Stayed in Bajondillo in July last year . had a great time .. Room was clean we were on the top floor and the views were great ! the pool in the day time was never too packed ... we always got a sun bed ... warning the food in the pool bar is not nice ..the chicken kabs that where bought by the people at the pool were always brought back .. Pink chicken !! We were self catering so we went out every day to eat .. The entertainment was good at night .... would go back again ! We stayed in the Bajondillo apartments .There were 8 of us mostly over 60. Each 2 persons had their own apartment. Some were slightly bigger than others, but each were adequate. 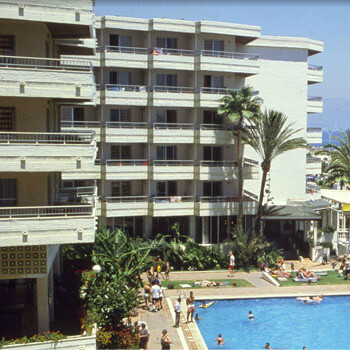 The whole complex was very clean and well kept, and was in an ideal spot, very near to beach and to calle san miguel (known as the steps) We had a snack only once in the bar and it was only fair. We eat one night in the adjoining restaurant and while the setting was lovely and the attention great we did not consider it to be great value for money and the wine was very expensive. There are plenty restaurants in the area especially when you come out of the apartments by the car park accross the road you have 2 restaurants which are very good The Bistro Europe ? and one at the corner heading slightly uphill which serve the best steak in town. In all we enjoyed the costa del sol and would go back again. We travelled with our 3 month old baby and another 2 couples. We got the best room out of the 3 of us because it had an upgraded kitchen area with a ceramic hob and full fridge and a gorgeous bathroom, whereas the other rooms were older, with gas hob (run by bottle) & half a fridge!! We also had a quieter room as we looked onto the entrance (rm 1013) and the other two had rooms overlooking the entertainment (rm 5059) although they had better sea views that we did. The room was certainly big enough considering we also had a cot in ours & there was plenty wardrobe space & other storage space. However, there was no kettle - so we had to hire one as we needed it for bottles, it cost us 22 euros for the 2 wks. The rooms were cleaned & beds made up & clean towels put out every day (except Sunday). We lay at the pool everyday, but you had to be early to put towels out to bag a good spot - any later than 9.30am and you would be struggling. Pool had a life guard all the time & it was spotless. We only ate breakfast, didn't try the restaurant as it was mainly fish on the special menus and my husband doesn't eat fish. The breakfast was really good value for money as it was a buffet and had plenty to choose from. We didn't really have a lot to do with the staff, but they were always OK, obviously some more friendly than others!! If I was going back to this resort, I would stay here again. We have stayed at the bajondillo on 5 different ocassions. Each time we were more than happy with the accomodation. studios are fine with everything you need for s/c, the one bedroomed apartment is so BIG and comfortable you could live in it. Cleaners were in every day doing a brilliant job. Buffet breakfast was fine, also snacks available throughout the day. There is also an a la carte restaurant adjacent to the hotel which is excellent. Location couldn't be better as its right on the seafront and near the lift to go up into the centre. Entertainment not great for families or young couples (just a piano bar) but there is so much to do elsewhere in the resort that it doesn't matter.